The Great Lakes PGPM, is a fast track one year MBA program for professionals, leverages a global faculty pool, peer learning among the diverse pool of experienced students, extensive industry networking and experiential learning. Great Lakes Institute of Management, a premier B-school in the country with campuses in Chennai and Gurgaon, has announced the commencement of admission for its flagship full time One Year Post Graduate Program in Management (PGPM). The admission announcement is for academic session 2018–2019 which will commence in April/May 2018. The Great Lakes PGPM, is a fast track one year MBA program for professionals, leverages a global faculty pool, peer learning among the diverse pool of experienced students, extensive industry networking and experiential learning. The PGPM (Chennai campus) is among the few programs in the country to have the prestigious global accreditation from AMBA, UK as well as SAQS. 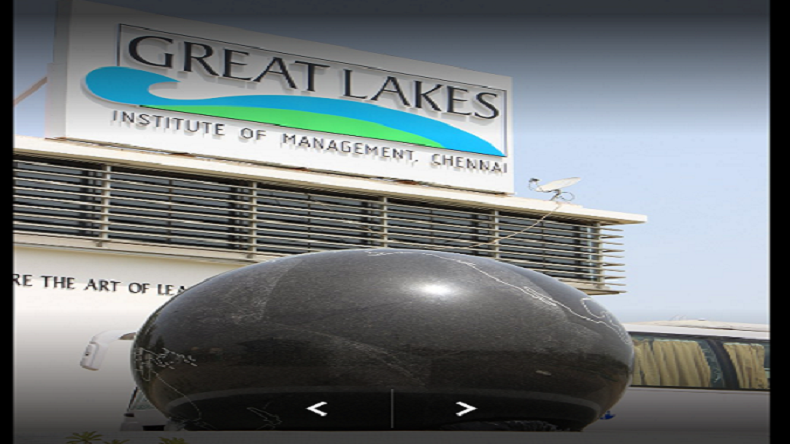 Great Lakes’ PGPM has been consistently ranked in the top 10 one year MBA programs in the country. The program was ranked 6th by Outlook, 7th by Business Today & 9th by Business World in the period 2015 – 2016. The admission for the two year PGDM (2018 – 2020) meant for graduates with 0-2 years of experience will open shortly. Speaking about the commencement of admission process, Prof. Easwar Krishna Iyer, Admissions Director, Great Lakes Institute of Management mentioned that “The admission season last year saw the new benchmarks set in the context of both application count and in-class student quality. We are expecting that the momentum would continue this year as well and we will have an exceptional set of students in the class of 2018-19″. All applicants are required to appear for GMAT/CAT/XAT/CMAT before applying. CAT 2016 & 2017, XAT 2017 & 2018 and GMAT scores taken in and after Jan-2015 or CMAT scores of the year 2017 will be considered for PGPM 2018 admissions intake. Applicants should have bachelor’s degree from a recognized university or institute. PGPM applicants should have minimum full time work experience of 2 years by 31st March, 2018. All admission related queries can be mailed to admissions@greatlakes.edu.in.